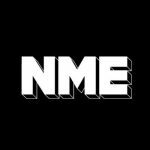 NME Awards 2015 With Austin, Texas: What Should Win Best Video? The NME Awards 2015 with Austin, Texas are almost upon us. On February 18 artists and punters will gather in London to find out who you voted for in various categories. Who should win in the Best Video category? Will Fat White Family lose and end up throwing a slice of pizza at FKA Twigs? Will Jungle and Peace have it out on the dance floor? Will Jamie T turn into a zombie if he missed out on the prize? It’s all to play for. You’ve only got a few more days – click here – to vote. Vote now.Tickets for the ceremony at o2 Academy Brixton on February 18 are on sale now.